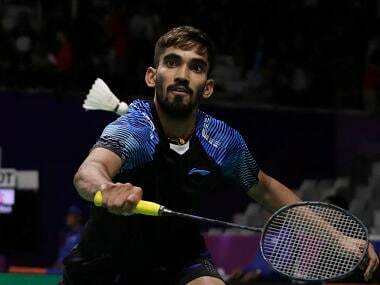 Kuala Lumpur: A fighting Kidambi Srikanth suffered a straight-game loss to Olympic champion Chen Long of China to bow out of the men's singles quarter-finals at the Malaysia Open on Friday. 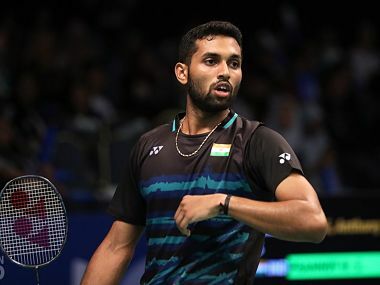 The eighth-seeded Indian, who had reached the finals of India Open last week, blew a huge advantage in the opening game to eventually lose the quarter-final match 18-21, 19-21. This was Srikanth's fourth quarter-final of the season. Srikanth blew a 16-11 advantage in the opening game, while in the second game he fought back from 7-11 down to level scores at 19-19 before ending up on the losing side. The 26-year-old had a 1-5 head-to-head record against Chen Long, whom he had defeated in their last meeting at the 2017 Australian Open. The Chinese showed great defence, playing some exceptional shots like a between-the-legs return to keep the spectators entertained at the Kuala Lumpur Sports City. In the first game, the Indian opened up an 11-7 lead at the first break. He kept his nose ahead till 16-11 before Chen started slowly clawing back into the contest. The Chinese drew parity at 17-17 before sealing the game with a cross-court return that left the Indian stranded. 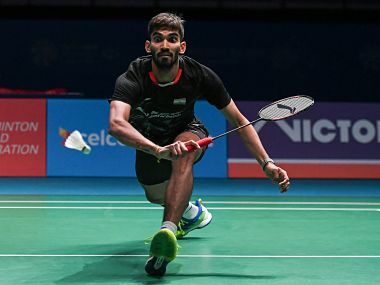 In the second game, Srikanth kept himself close to the Chinese before Chen unleashed a down-the-line smash to grab a 11-7 lead at the breather. Srikanth made some simple errors like misjudging line calls, hitting wide and long and also mistiming shots as Chen led 16-8. The Indian won a long rally when Chen went wide and then the Chinese lost a couple of more points near the net before attacking the Indians backhand to reach 17-11. Srikanth kept breathing down Chen's neck and reduced the margin to 17-18 with the Chinese falling in a heap of errors. The Indian levelled the scores at 18-all and was 19-19 when Chen hit another long shot. But the Chinese sent one at the backline to move to match point and sealed it when a fighting Srikanth dived full stretch but couldn't keep the shuttle in.